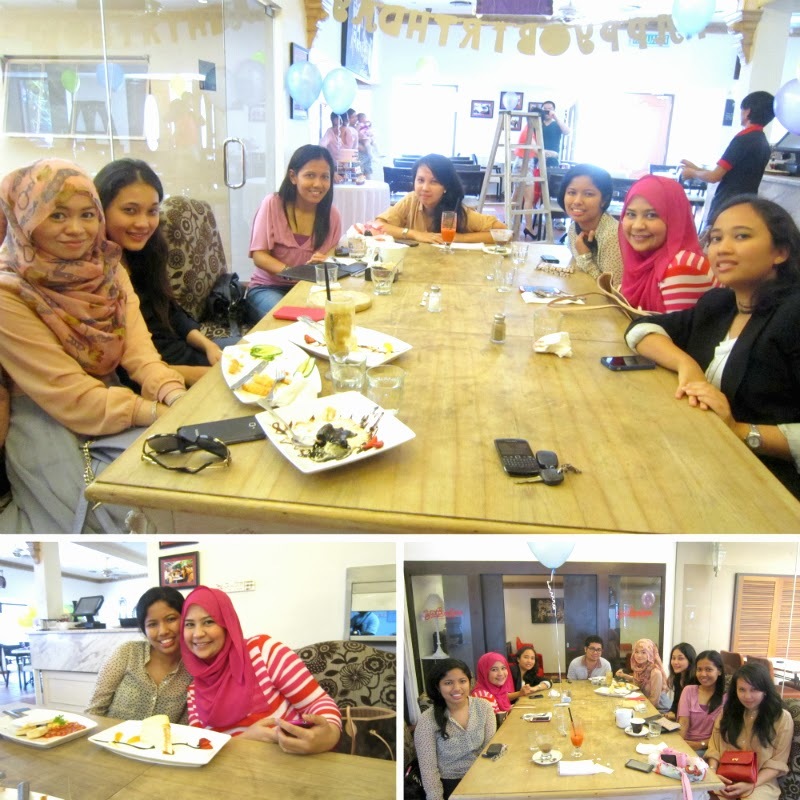 On 23rd March 2013, me and my unimates had a small gathering for Fazlin Azrimi's belated birthday do. Her birthday falls on the 25th of January every year. Let me tell you a little bit about one of my oldest friends in university. Fazlin, at that time a total stranger, knocked on my dorm door during those early days when I was reading law in matriculation and came just to drop by and say hi. Why? 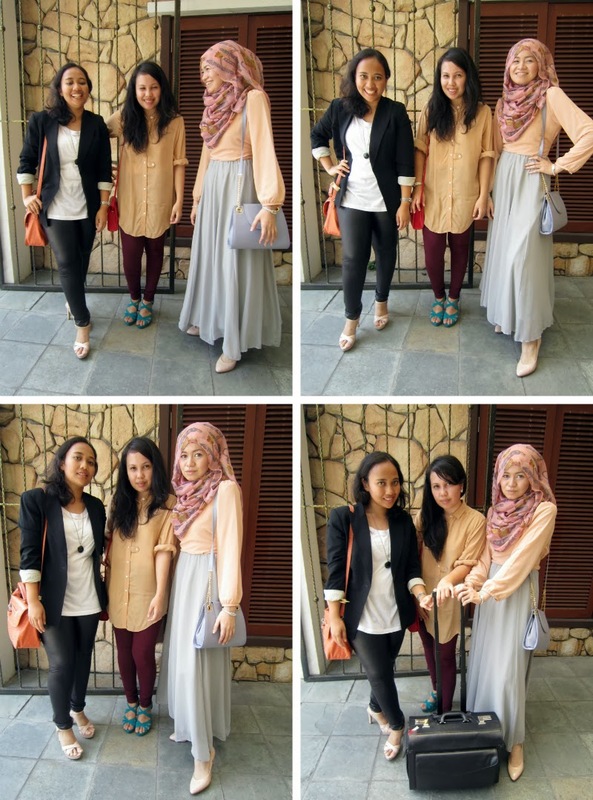 just because her childhood friend Shairil Ezani told her that she had a close friend in the same matriculation. Shai, who also happens to be my BFF in high school. That's how friendly Fazlin is, and that's how we became friends. Needless to say, we hit it off instantly. 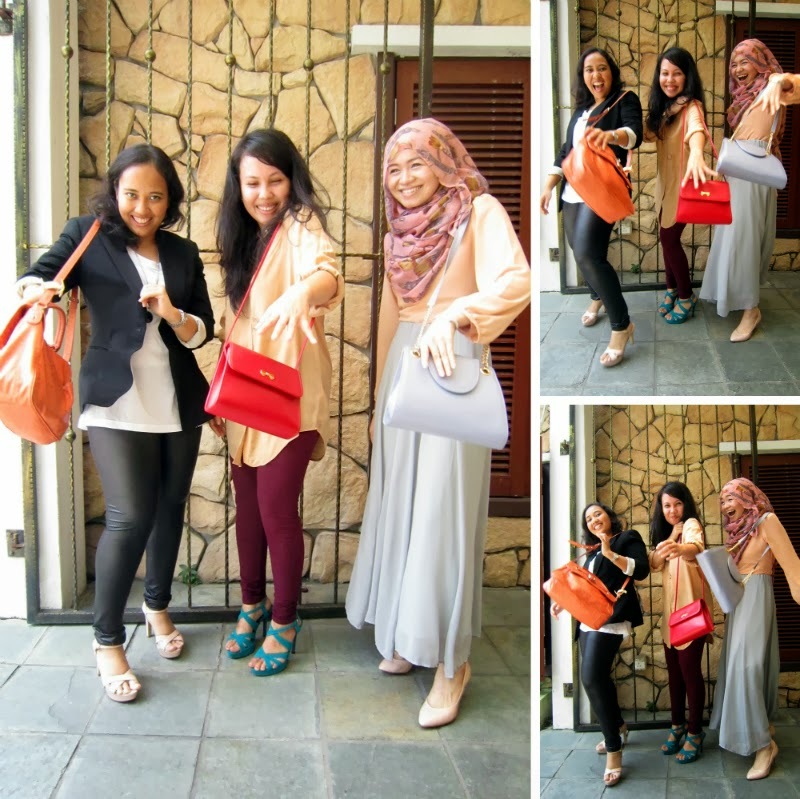 Fazlin is a beautiful soul who was there through my ups and downs since uni. We started off as roommates when we went to main camp and were in the same classes most of the time. We met each other almost every day when were in campus throughout those 4 years. Fate brought us together as colleagues too since almost 2 years ago. We've been close friends for 11 years all praises to the Almighty. Can't believe it has been that long. She is someone who is kind, dependable, someone I know I can turn to in times of need and not just during those happy times, she's a shoulder to cry on and one of the sweetest souls I've ever known. 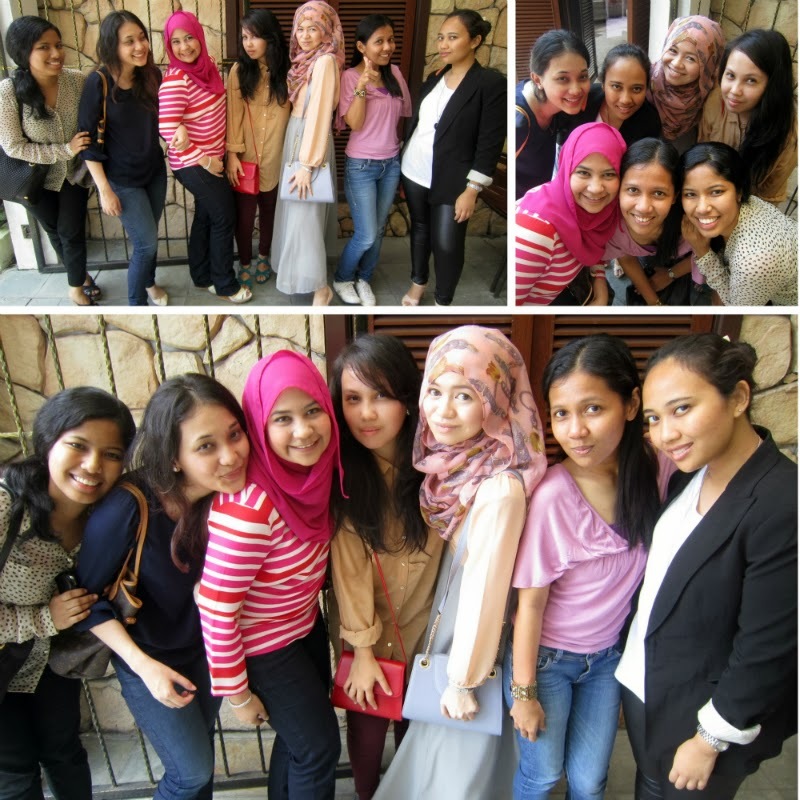 Last I blogged about her and her birthday was in my 2011 post titled "Vintage Themed Gathering at Canoodling in 2011". I remember Dian Farhana (colleague and close friend) telling me a week before I gave birth to Jibrael that she wanted to plan a birthday do for Fazlin at the hospital where I was warded. So that I'll be a part of the celebrations too. It was so sweet of her to plan it like that. 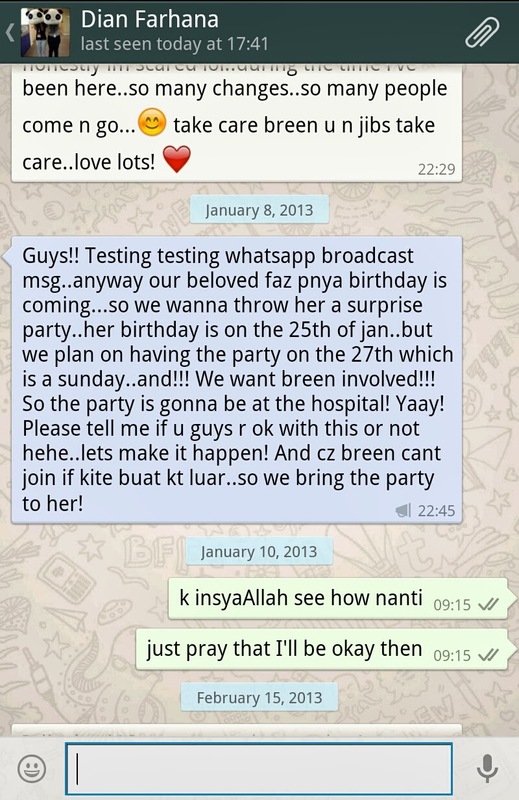 She planned that we would celebrate Fazlin's birthday around that date. No one, most of all myself, expected that I would actually give birth before 25th January. Fate has it that I gave birth to Jibrael on 14th January 2013. The same month with Fazlin. So, they didn't celebrate Fazlin's birthday at the hospital as I was discharged by then. So Happy Belated Birthday Faz. You are a strong and a kindhearted sweet soul. May you stay sweet and strong throughout anything Allah may desire to test you with. May God protect you from harm and danger. May God bring you closer to Him and His Love. Amin.